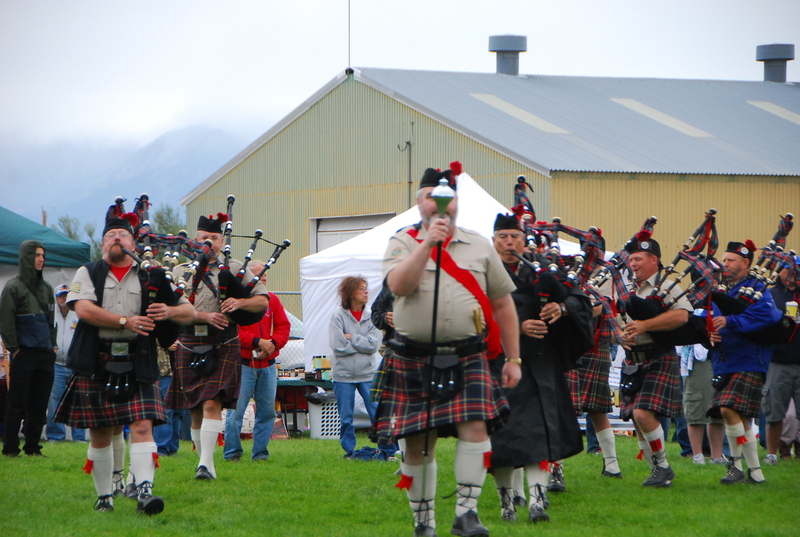 Our band, the City of Trees Pipes and Drums, traveled to Baker City, Oregon last weekend to participate in the Easter Oregon Highland Games. Oh my. The weather could definitely have been worse. But it could have been way, way better. For a late August weekend, it was downright frigid: 50-something degrees, rainy, and windier than Rush Limbaugh the day after Halle Berry won an Oscar. I felt badly for the organizers because the turnout was not what they expected. Most of the people who would have attended were huddled against the wood stove back at the cabin. 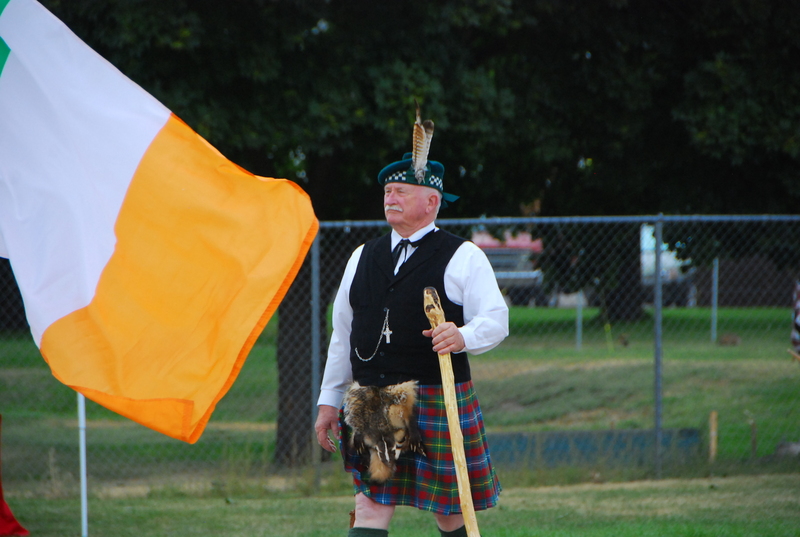 But for those who did brave the elements – which include the vendors, the athletes, and the performers (especially the belly dancers) – it was a good show. 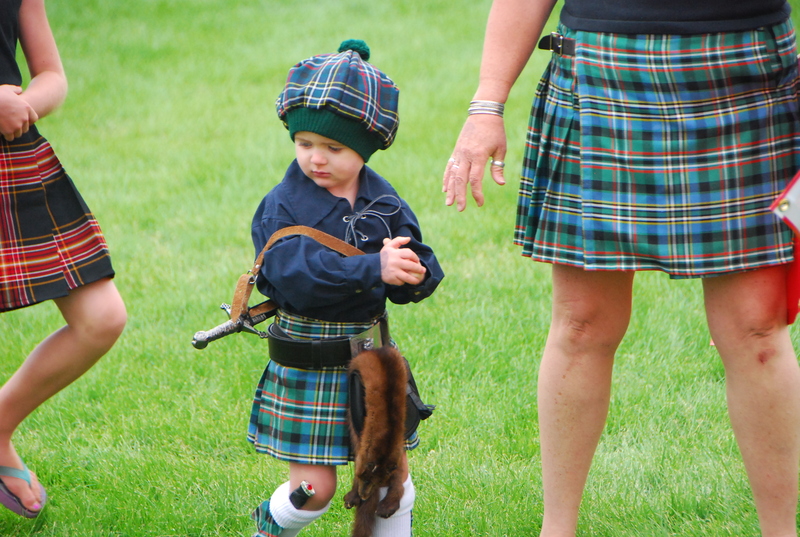 Aside from our fabulous group of nut-cases in kilts, there was a really good band from Emmett, Idaho featuring a couple of hot pipers, a fiddler, a drummer, and a crack bassist. The belly dancers boggled the mind (not least because nobody I asked could explain why you always see belly dancers at highland games) and some might have gone hypothermic. 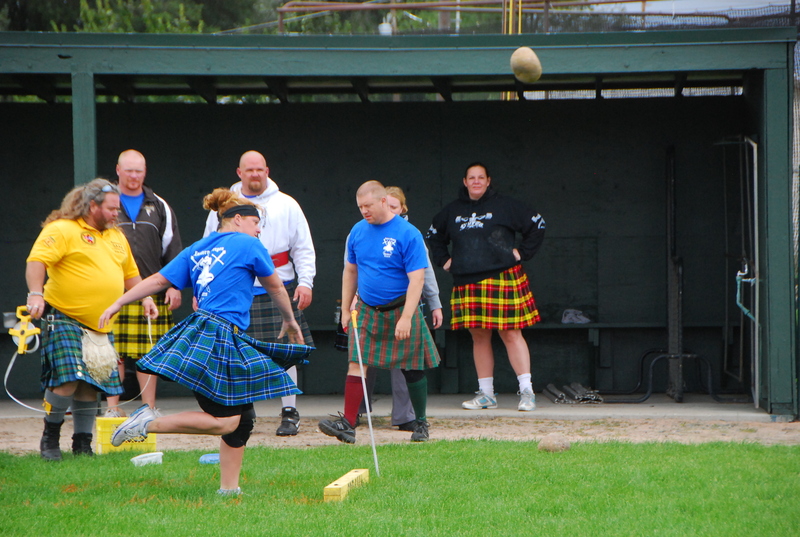 The athletes were fabulous, knee braces, pitchforks and all. 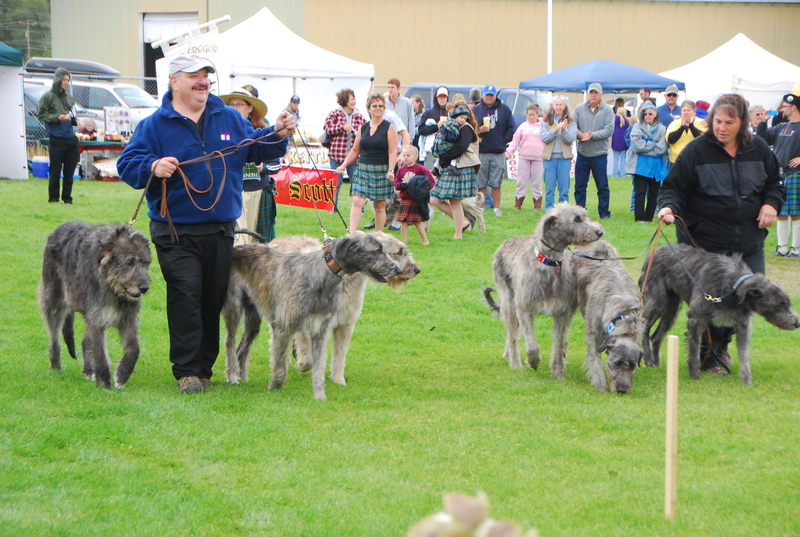 When was the last time you saw six Irish wolfhounds? 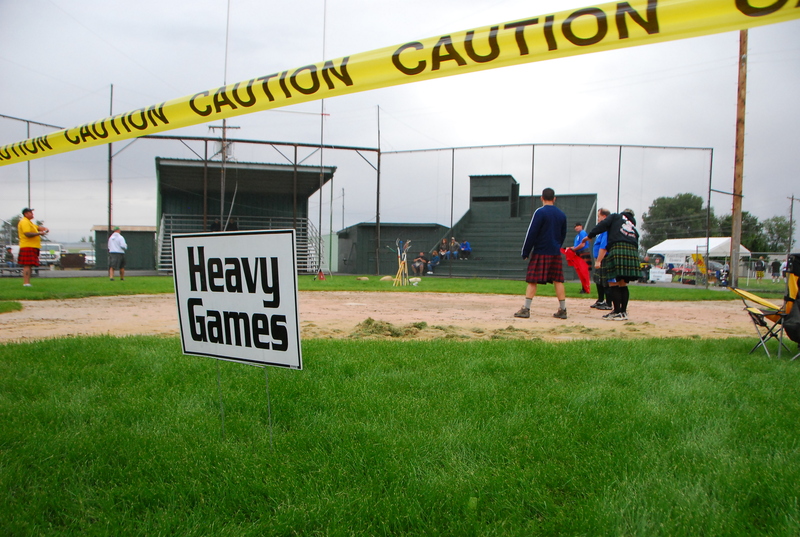 For me, the coolest thing there were the six enormous Irish wolfhounds (again – there seems to be a healthy lack of any shyness about the mixing of Irish, Scottish, gypsy, and whatever else you want to bring to the table at a “Scottish” Highland games). The couple who brought them have been breeding them for a dozen years or so, and they led the dogs (three each) around on leashes during the closing ceremony. Beautiful animals those. It was a good time. However, unless I can get a guarantee from God next year that it will be warmer I can’t say if I’ll have another obligation that weekend.